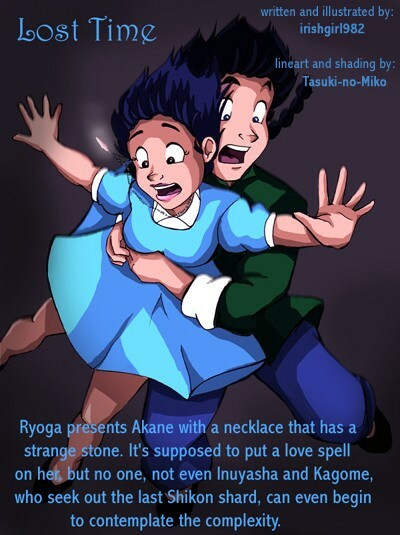 SUMMARY: Ryoga presents Akane with a necklace that has a strange stone. It's supposed to put a love spell on her, but no one, not even Inuyasha and Kagome, who seek out the last Shikon shard, can even begin to contemplate the complexity. NOTE: This story was mostly written and drawn in 2003 and 2004. IT IS OLD, but still holds a dear place in my heart, which is why I am posting it. I realize that there are many mistakes in this comic, but I'm not going to go back and change them. FYI.